Hofmaier 146. Lithograph on simili japan paper. Signed, titled and numbered 5/75 in pencil. Malepartus was the name of a nightclub in Frankfurt. 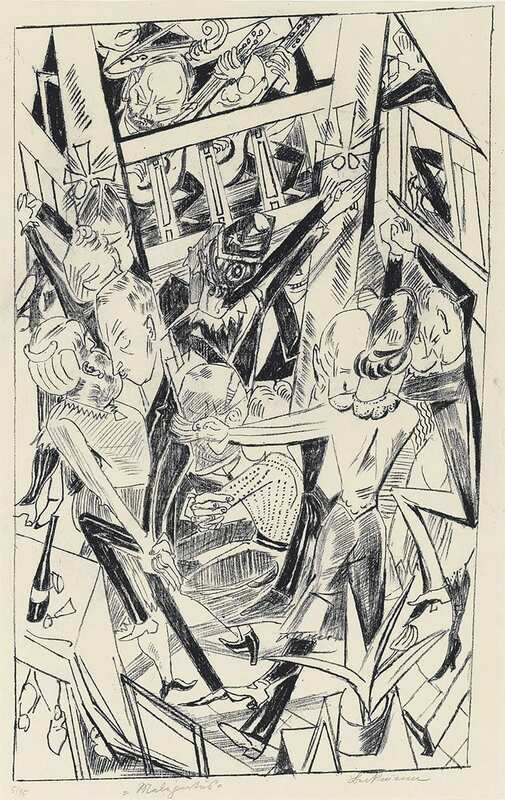 In the series Die Holle, Beckmann was a harsh commentator on the interwar years in Germany, depicting the contrast of wealth and decadence with human misery. The dancers’ closed eyes presumably symbolize their blindness to the political and social problems surrounding them.